Coastal lagoons are ubiquitous along coastlines worldwide. Here, we compare the abundance of epifauna, seagrass-associated macroinvertebrates, and small fish across a gradient of seagrass cover in shallow coastal lagoons of the northern Gulf of Mexico. Two of the lagoons had little or no seagrass cover (0–18.8 %), and four had high cover (83.8–97.5 %). All of the lagoons were partially covered with fringing marsh. We hypothesized that, due to habitat redundancy between seagrass beds and fringing marshes, seagrass-associated fish and macroinvertebrates would not be largely reduced despite the large differences in seagrass cover among the lagoons. Our results support this hypothesis. For most sampling dates, we did not find significant differences in fish and macroinvertebrate abundance among the lagoons and, when we did, several highly vegetated lagoons did not have larger abundances than sparsely vegetated lagoons. The extreme shallowness of the lagoons studied (<1 m) may also provide further protection from large predatory fishes in the absence of seagrasses. Our results also suggest that marsh detritus, by providing habitat for epifauna and helping maintain prey availability, may further temper reductions in seagrass-associated fishes and macroinvertebrates following seagrass decline. The results highlight the importance of marsh-bordered, shallow lagoons as habitat for small fish and macroinvertebrates regardless of seagrass cover. 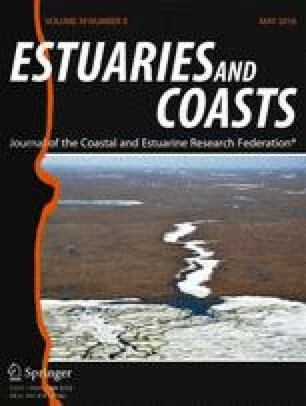 This study contributes to the characterization of habitat redundancy in coastal ecosystems and pinpoints the importance of considering all habitats in concert for the proper understanding and management of coastal ecosystems. The online version of this article (doi: 10.1007/s12237-015-0031-7) contains supplementary material, which is available to authorized users. We would like to thank all of the technicians and interns who assisted in the field, especially J. Goff, S. Kerner, D. Byron, W. Scheffel, C. Havard, J. Gulbranson, A. Macy, J. Reynolds, J. Hemphill, M. Metcalf, L. Schumacher, and J. McDonald. We are thankful to Sharon Herzka for providing valuable comments on prior versions of the manuscript. We also thank two anonymous reviewers for their valuable insights and improvement of the manuscript. This project was funded by a Shelby Center Fisheries Grant.